CafeSuite Café Management Software is tested already in CCBoot, started from their build 3.44c and up to the latest build. It has no compatibility issues and working perfectly in CCBoot. CafeSuite Café Management Software can also be installed on the CCBoot Server if desired. And for those Internet Cafe with a minimal client quantity ranging from 10 to 20 client PC's. Thank Andrian Laping for providing this article and Wyndell Tapere for providing the video. 1. Download the latest version of CafeSuite from their Website. 2. To Configure CafeSuite server software, get to know the available options first. The default values should be appropriate for most installations, however you might need to adjust them to suit your specific requirements. 3. Things to consider before installing the CafeSuite client software, please click Here. 4. Below is the important “Cafesuite client Setup” setting before you install it on CCBoot client. 4.1 Uncheck the “Game Notifications” Enable game overlay notifications for OpenGL from client setup. To avoid problem in Online Games “Game guard” and “Extra” (Figure 1-1). 4.2 Check to enable “Hide the following disk drive (Figure 1-2). 1. On the CCBoot Server Main interface, choose one client PC, for ex: (PC01) double click to open the “CCBoot Client” interface and click the “Enable Super Client” button then put check on the check box to select the “Image Only” and then press “OK” button (Figure 1-3). 3. 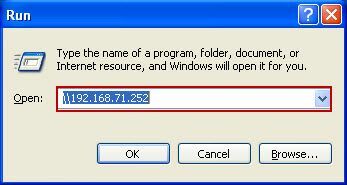 On the PC01 “Run” command window” input the CafeSuite IP address to open the CafeSuite Client Shared folder and then Execute CafeAgentSetup.exe program from the shared CafeSuite\Client folder from the server PC or from where this folder was copied (Figure 1-4). 4. After the installation of the CafeAgentSetup.exe , the client PC01 will normally display lock screen with login window (if enabled) and show CafeAgent hourglass icon in the system tray. 5. After that, shutdown PC01 and go back to the CCBoot Server to disable “Super Client” and then click the “Save” button. 6. To deploy CafeSuite Client Software to all diskless Client. Just boot the next client 1 by 1 to register all clients to the CafeStation Server workstations list. Please do not diskless boot all client PC at the same time when deploying the CafeSuite client to avoid conflict on CafeSuite Workstation Alias and Workstation Number.